Nowadays, real estate agents must make a concerted effort to generate leads. The days where agents separated themselves via pay-per-click are over. 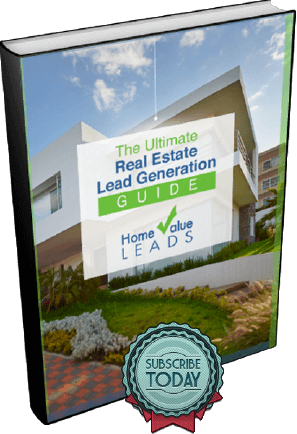 No longer can real estate agents rely on basic principles of lead generation. One form of lead generation that continues to work, though, is utilizing social media. Check out 5 great social media real estate tips that could give you an edge. There’s nothing wrong with adding a few nice reviews to your Facebook page. You could make the reviews authentic by asking former clients to post reviews for you. Reviews and testimonials work. They especially work in the social media age where people look to their peers before deciding on who to go with for their real estate agent. Instead of just having your photo on your Facebook page, create an FB cover video. We’re in the video age, which means real estate agents like you must get with the times. Photos are great, but they can get in the way of proving that you’re the agent with the must see listing presentation. Brand yourself as different right away with video. Never forget that video tells a much fuller story than photos. But, if you do use photos, you should only use high quality photos. Remember that everything you do on social media, especially your Facebook page, tells potential buyers and sellers who you are. It makes no sense to use grainy photos with imperceptible images and hard to read captions. Make sure potential clients can see every photo you post. Also, make sure you don’t post photos that can be misconstrued in some way. Don’t ever take the chance of offending potential customers. The real estate industry is a people business. You must be a people person. People persons don’t offend. One of the great things about social media is how it closes the gap between people. You can start building trust between yourself and potential customers via social media by understanding how incredibly small the gap has become. By not offending, speaking directly to potential customers, and spending more time on their possible needs instead of your social media needs, you can get them to trust you before you even approach them about selling their homes. Going back to the Facebook cover video, it makes no sense to settle on something that won’t work long-term. Make sure to discuss your accomplishments on your FB cover video. But, definitely don’t brag, and absolutely don’t spend time discussing things other than real estate. Attention spans aren’t what they used to be. Potential clients won’t spend more than a few seconds watching your video before moving on. You have limited time, so, take your time with your FB cover video. Be sure to also take your time with any video you place onto your Facebook landing page. Always discern whether the video will accomplish the goal you have for placing it on your social media pages. Don’t just place videos and hope for the best. There must be something behind the videos, a reason why you post them. Social media remains a viable way for agents to generate leads. Some social media real estate tips are to create a Facebook cover video while being careful about video messaging, to use social media to build trust, to post only the highest quality photos onto your social media pages, and to post reviews and testimonials onto your FB landing page.